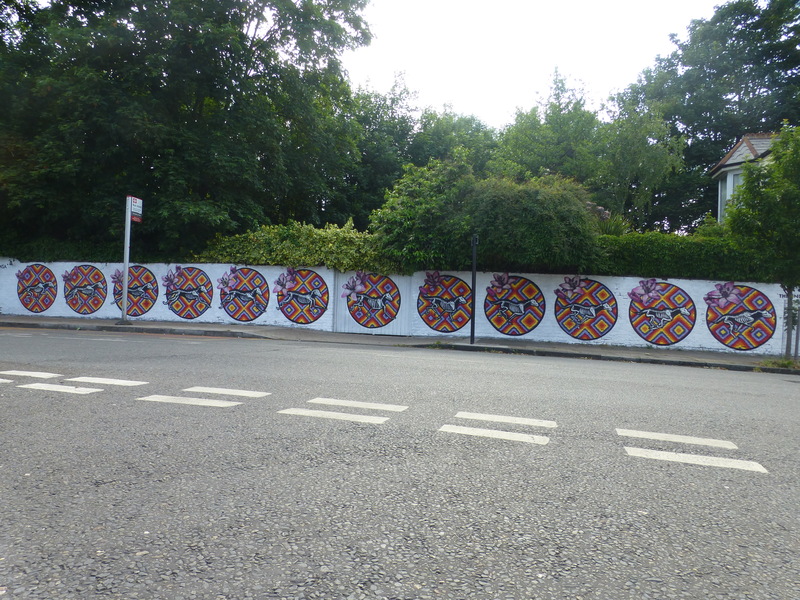 Over the course of a week now UK Street Artist INSA has been exceptionally busy on Avignon Road as part of the Brockely Street Art Festival. 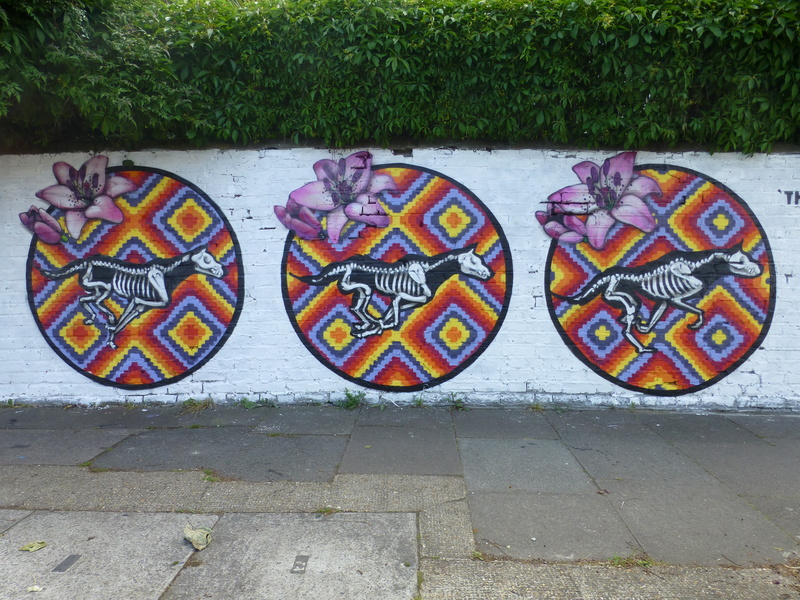 INSA who represents an exceptionally tech-savvy approach to art which he dubs Gif-iti. 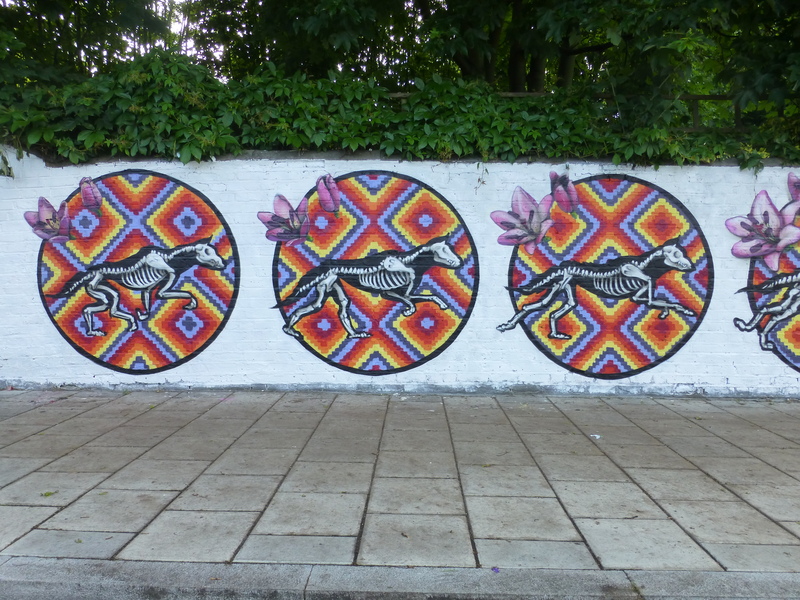 INSA likes to paint on walls, take a photo, repaint and so on until he can make the art move in .gif form, creating surreal and wonderful pieces like no other, truely a product of the digital age we live in. 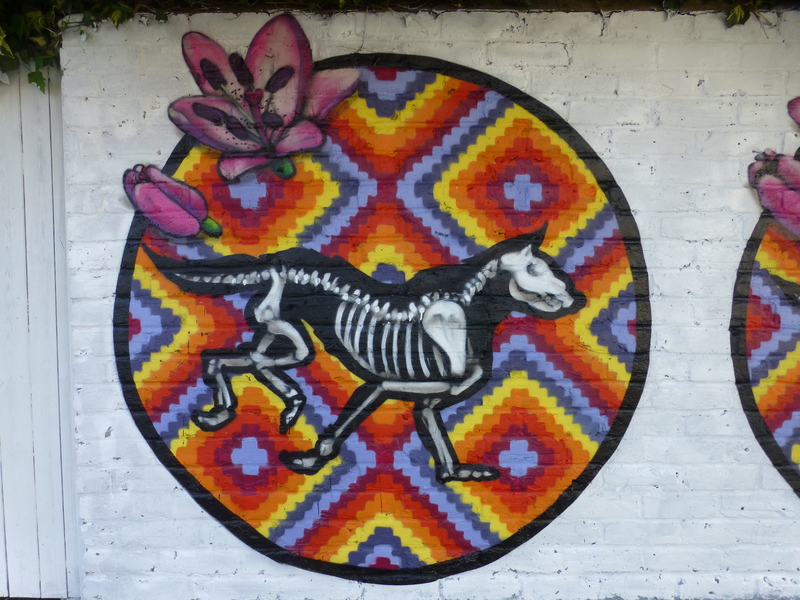 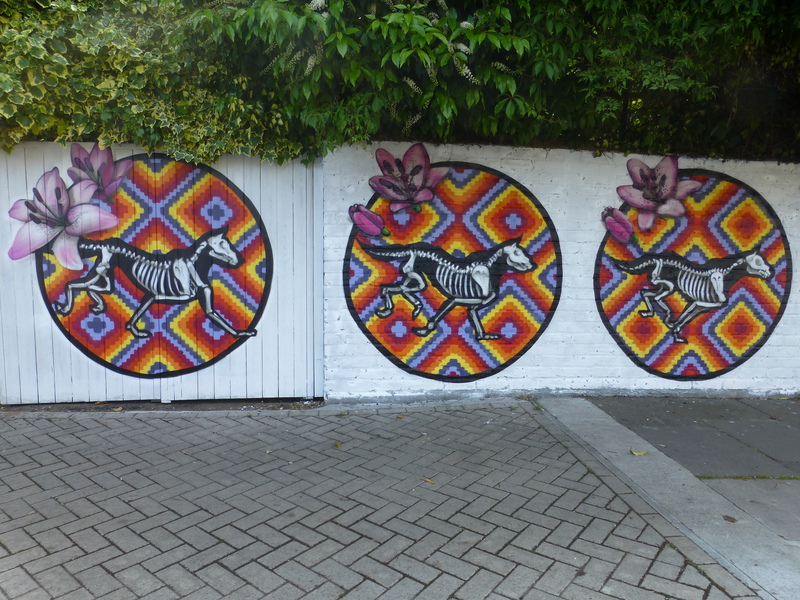 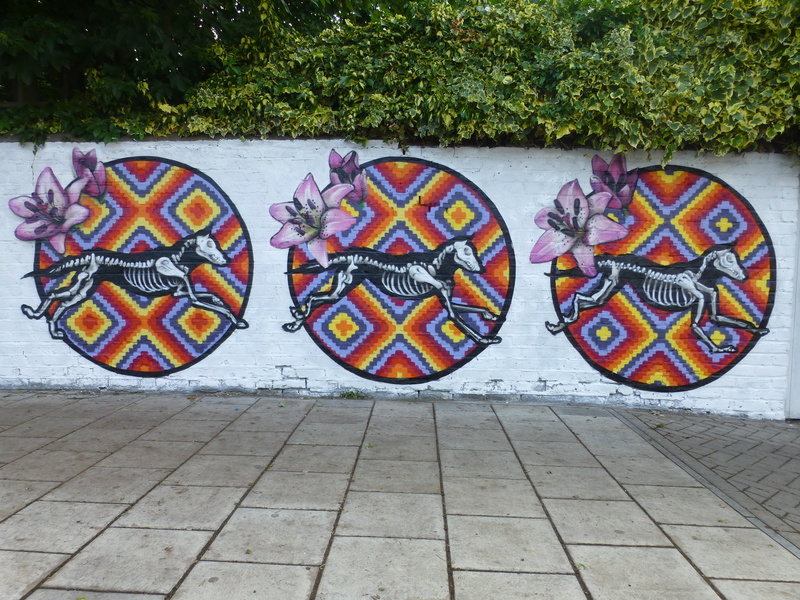 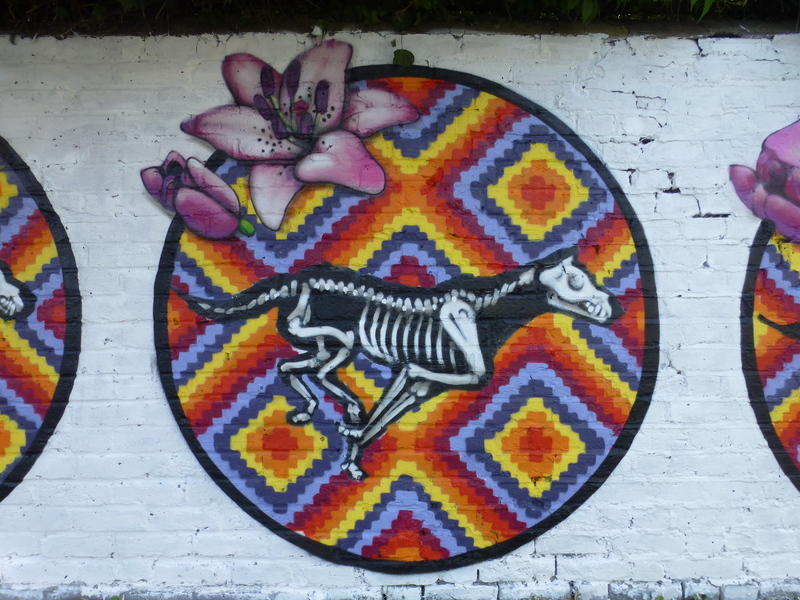 It’s easy to see why INSA spent so long at work on this piece entitled ‘The End Is Only The Beginning’ in Brockley, it is very intricate and large scale, and sets to depict a skeletal hound running to a psychedelic background. 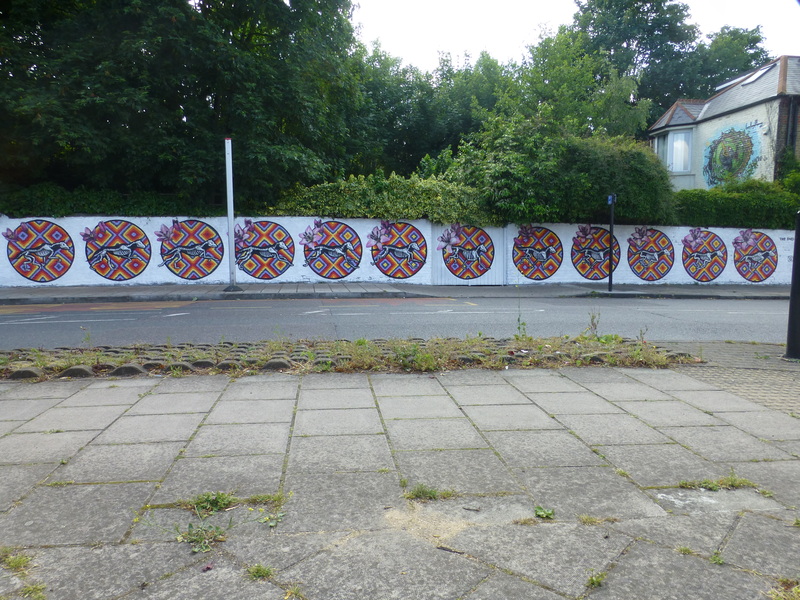 The full wall of work. 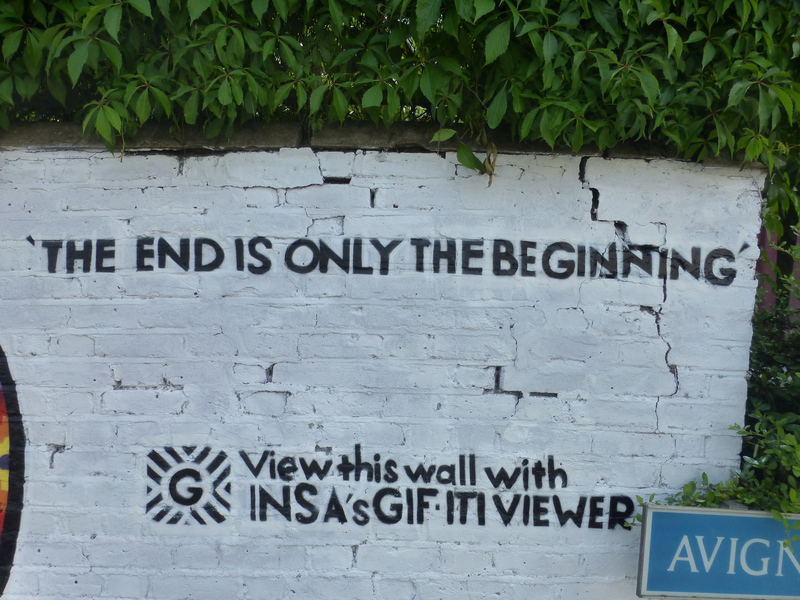 Sign of our times, INSA is certainly visionary.